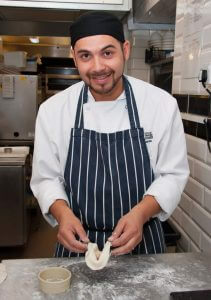 Fabio Ferrao, Duty Chef in St Edward’s Catering Department, recently attended a Chefs’ Forum event at the Old Swan and Minster Mill in Minster Lovell. The Old Swan and Minster Mill’s Executive Chef, David Kelman, who hosted the event, led a series of technique and cookery demonstrations, as well as giving the students the chance to take on a spot of coarse fishing and crayfish netting in the River Windrush. 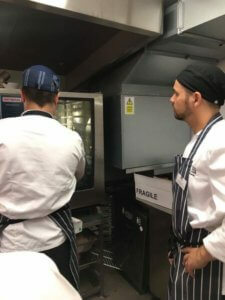 Fabio, who has just completed his Level 2 apprenticeship with St Edward’s and City of Oxford College, was one of 20 students who attended the day with some top local chefs from across The Cotswolds giving the instructions. Aside from adding his new techniques and creative ideas to the School’s Catering Department this term, Fabio will also shortly be starting his Level 3 Apprenticeship. 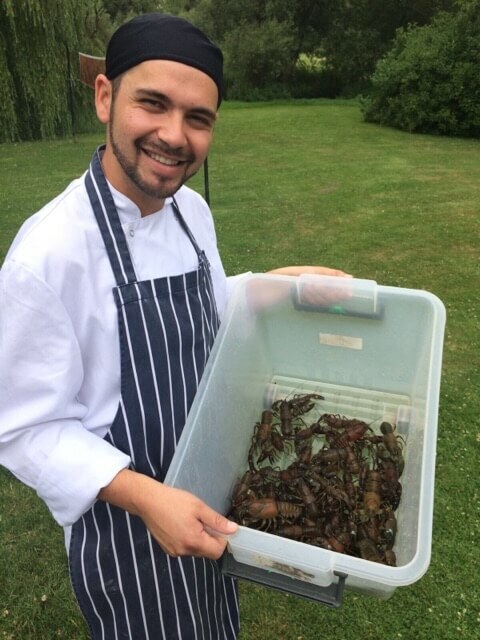 Many congratulations to Fabio for his achievements, we will no doubt all be looking forward to sampling the fruits of his labour in the Dining Hall soon!